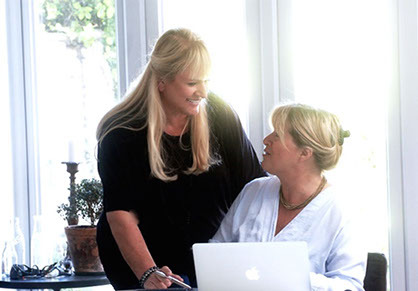 We are Anna-Karin Nilehn and Cecilia Bressen Marthinsson and we founded AC Relocation in 2009. We have first hand experience of relocating to London, having moved here from Sweden in 2002. We have rented, bought and renovated houses in London so we have extensive knowledge of the housing market. Between us, our children have gone to nurseries, junior and high schools in the capital, so we can help parents navigate the various educational options available and create the foundation for family life in the city. So if you’re moving to London and would like a helping hand, do not hesitate to contact us. As your new neighbours, we would like to share our experience with you, including handy tips and invaluable contacts, so you can settle in quickly and enjoy this wonderful city as much as we do. AC Relocation operates throughout the capital, helping both companies and private clients find the perfect home for rent, purchase or investment. Thanks to our extensive network of real estate and private landlord contacts, we are constantly updated on all the latest properties coming onto the market. Our services don’t stop there – we provide practical contacts that facilitate your move and set up your life in London. We can share our knowledge of the best local facilities from banks, doctor surgeries and furniture rental companies to sports clubs, tradesmen and domestic help. What’s more, we can advise you on all the local school options for your children, working closely with Gabbitas – one of the UK’s leading educational consultancies. The first step is for you to brief us on your budget and what kind of accommodation you ar looking for. This can be done in person, by email or on the telephone. From this moment on, we provide continuous support, answering any questions you may have regarding your relocation, at no extra cost.